France built the 14.5-ton AMX-13 tank in the 1940s as a combat vehicle light enough to be air-transportable to support paratroopers. France produced and exported thousands of them, which saw action in several Cold War conflicts. They’re still in service in a handful of countries, mostly in South America. The antiquated tanks could still see service for awhile longer. 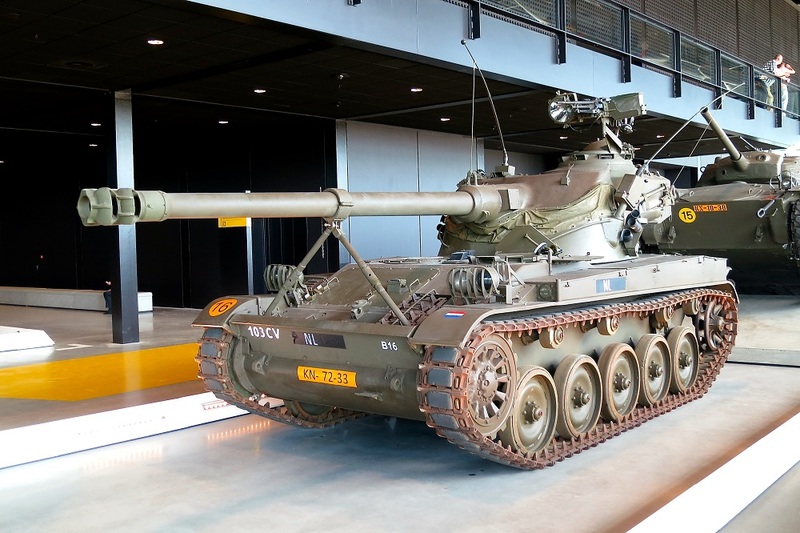 Reports suggest Peru is looking at converting 30 to 40 of its AMX-13s into self-propelled howitzers by swapping out their turrets for Soviet-era 122-millimeter D-30 howitzers. The new name would be the AMX-D30 Vulcano. The Peruvian army has 36 D-30 howitzers, a rugged workhorse in service with dozens of armies. Ukrainian radios and TVN-5 night-vision devices — the same used on Ukraine’s T-84 Oplot tank — are also included in the upgrade from the Peruvian military company S.A.C. It’s unclear whether the recent resignation of Pres. Pablo Kuczynski following a corruption scandal will upset the plan. The bulk of the Peruvian armored force is in the form of Soviet-era T-55 tanks — some 165 as of 2016 including 75 in storage according to the International Institute of Strategic Studies. Peru wants to replace these tanks with modern machines, with various reports in recent years hinting at a possible purchase of Chinese VT4s or Russian T-90s — but no sale. Peru has 96 of the lighter AMX-13s. But some of these have undergone radical changes. One Peruvian adaptation known as the Alacran has no cannon but three 9M133 Kornet anti-tank guided missile launchers. The most serious security threats to Peru are internal. Organized crime, a growing cocaine trade and violence — social and environmental — loom larger in the lives of Peruvians than foreign armies. The Shining Path, a Maoist-inspired communist insurgent group, waged a bloody guerrilla war in the 1990s but is now down to around 100 tired rebels living in Peru’s central valleys. Peru’s territorial disputes — there are several — have calmed in recent years but remain potential sources of conflict. Peru and Ecuador fought a brief war in 1995 over the Cenepa valley, signed a peace treaty afterwards and are now de-mining the border. There is a border dispute with Chile over the Atacama Strip, a remote and arid region known for its mineral reserves and radio telescopes. This dispute arose from the 1879 War of the Pacific, which resulted in a Chilean victory over an alliance of Peru and Bolivia — the latter which lost direct access to the sea. In 1975, Peru and Chile nearly went to war over the strip, and three years ago, a diplomatic row erupted when Peru accused Chile of keeping three Peruvian naval officers on its intelligence payroll. Military exercises including one in Peru named after Gen. Andrés Avelino Cáceres from the War of the Pacific have also increased tensions. The Chilean army is considerably better equipped, however, with a tank force alone comprising 245 German-made Leopards. While the chances of a conflict are very slim, Peru reconfiguring its old French-made tanks into self-propelled artillery could be useful in desert warfare.